The Zionist Organization of America (ZOA) and the University of Pennsylvania’s Middle East Center plan to meet in late 2018 in the wake of the latter hosting an event co-sponsored by Breaking the Silence, an organization of Israeli military veterans dedicated to opposing the Jewish state’s military and civilian presence in Judea and Samaria. “The Middle East Center receives funding from the U.S. Department of Education pursuant to Title VI of the Higher Education Opportunities Act. As you surely know, the law requires that Title VI programs ‘reflect diverse perspectives and a wide range of views and generate debate on world regions and international affairs,’” Tuchman and Klein wrote. For his part, Lustick defended the event in an email. An opposing view was not presented. 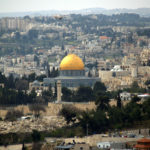 The proposed meeting between the ZOA and the Middle East Center would provide an opportunity for representatives from each group to discuss the ongoing Israeli-Palestinian conflict. The Middle East Center is non-partisan and does not take stands on political issues. It instead provides a platform, say organizers, for which different views and opinions can be discussed. On April 19, the Middle East Center hosted Israeli photojournalist Gil Cohen-Magen, who is known to channel a different tone from Breaking the Silence when discussing the Israel component of his work. Bubis made another appearance at Penn on Oct. 9, visiting Penn Hillel at a Breaking the Silence event hosted by J Street. Bubis grew up Orthodox and pushed to serve in the IDF, according to nif.org. She spoke about her experience in a video posted to the New Israeli Fund’s YouTube Channel. This article was published by the Jewish Exponent and may be found here.